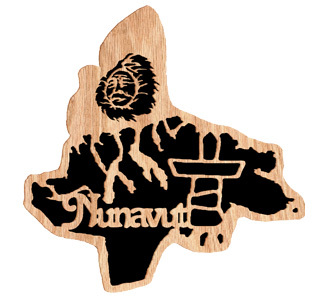 Create this scroll saw outline of the Province of Nunavut, Canada designed by Ontario's Andy Deane. Use 1/2" thick Red Oak (#HWR2812) for the outline and for the backer we used 5/32" thick plywood (#FPLY512). 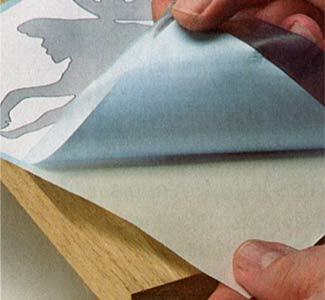 Stain the outline in the color of choice or even leave natural with a clear coat of sealer. Paint the backer Black or any contrasting color you desire. Attach a sawtooth hanger for display. Finished Dimensions: 7-1/2" x 7-5/8"